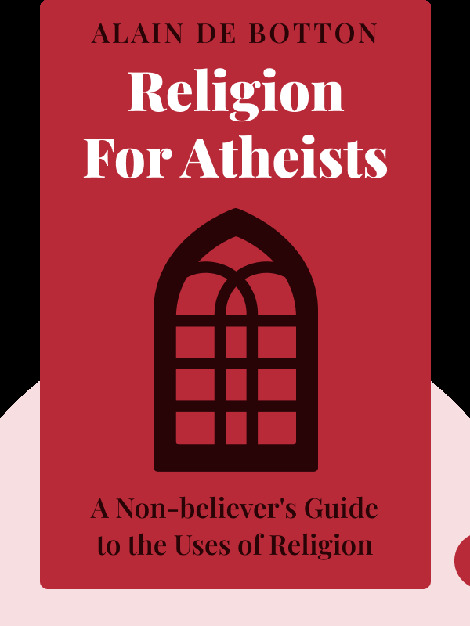 Religion for Atheists (2012) sheds light on the often-overlooked positive aspects of organized religion. By considering religion in absence of a belief in divine beings, we find many valuable social initiatives and philosophical lessons from which even the most cynical among us might benefit. 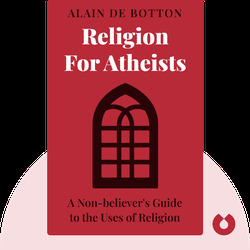 Alain de Botton is a Swiss philosopher, TV presenter and author currently based in the UK. His book The Architecture of Happiness received rave reviews and was featured in the movie 500 Days of Summer. De Botton is also a fellow of both the Royal Institute of British Architects and the Royal Society of Literature.